We decided to resurrect this post from the Summer of 2012 because of the great video footage showing the installation of a Ductless Heat Pump System. The video shows Cory Eckert, one of our owners, and Dustin Weist, a master installer, installing a new Ductless System in a home in Roy Washington. That first night was a warm one here in the Olympia area, and a good time to try out the AC. Aside from hearing that the new heating and cooling system worked well, we received two additional pieces of feedback. After setting the temperature at 66 degrees the house got too cold! The homeowners were surprised at how cool the back rooms got, even thought they weren’t the focus areas. 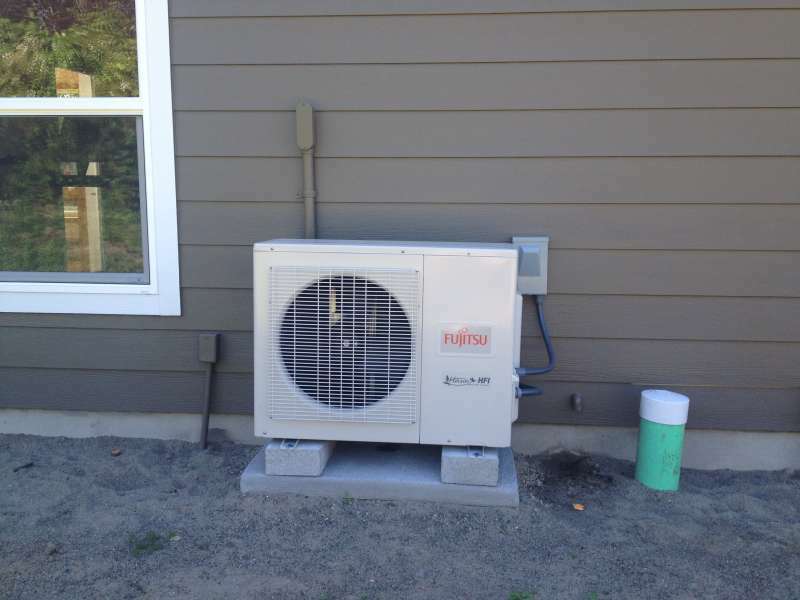 We were glad to hear the homeowners like their new system and are also pleased to hear that their experience echos that of our other customers who have invested in a new Ductless Heat Pump. At the end of the day, energy savings is great, but arguably more important is that a new Ductless Heating and Cooling System can increase the comfort of your home. So watch and enjoy, and if you are considering a new Ductless System for your space, give us a call or shoot us an email to schedule a free estimate.